Whites comeback to earn point. 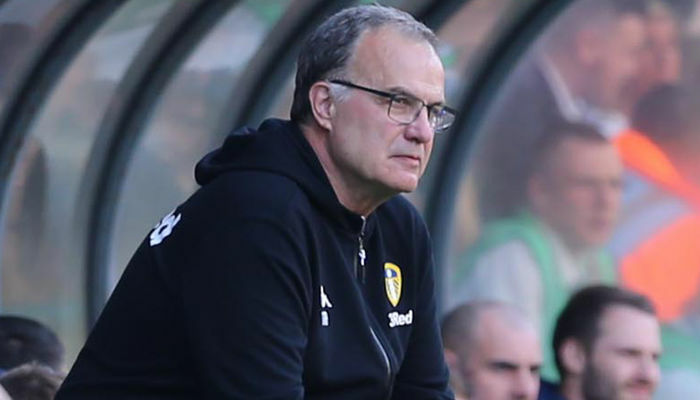 Leeds United came from behind as a late equaliser from Kemar Roofe handed the Whites a valuable point at Elland Road against Nottingham Forest. 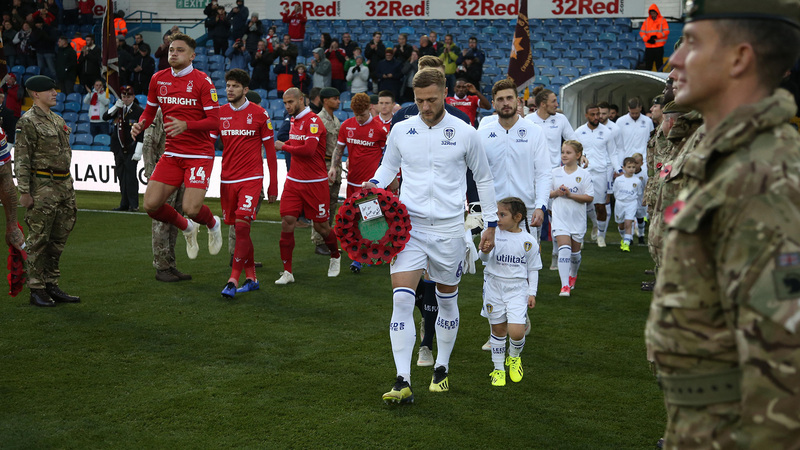 Ahead of the game, due to the match being closest home fixture to Armistice Day, representatives of the Armed Forces in attendance and Elland Road fell silent as the Last Post was played. Pontus Jansson returned to the starting line-up following a one match suspension, replacing the injured Gaetano Berardi, whilst Adam Forshaw and Stuart Dallas also returned to the team. 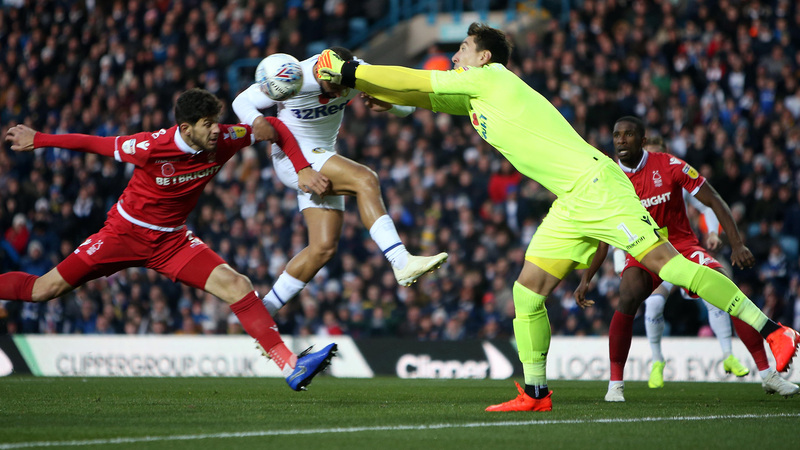 Leeds had a good chance inside three minutes, Costel Pantilimon made a good save from a Kemar Roofe and Mateusz Klich was just inches away from getting on the rebound, with the goal gaping. However it was the visitors who took the lead eight minutes later, when Jack Robinson headed home Joe Lolley’s corner. 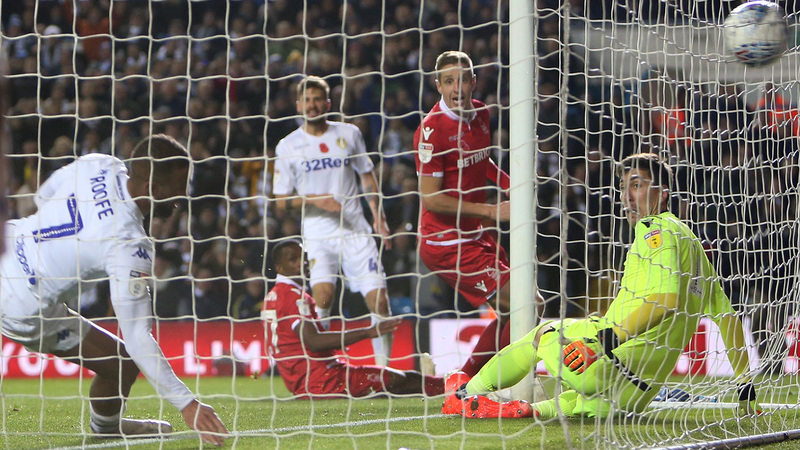 Pablo Hernandez tried his luck from range as Leeds tried to get level, but he was denied by a good save from Costel Pantilimon. Roofe then had a big chance a Luke Ayling cross deflected into his path, but he snatched a volley wide. The Whites were dealt a blow in the 25th minute when Ayling had to be replaced due to injury, with Tom Pearce taking his place. Forest nearly extended their lead a minute later, Jack Colback found Matthew Cash with a fine pass and he fired just wide. Dallas found Hernandez in the Forest box, he struck at goal and his curling effort went just beyond the chasing Alioski and out for a goal kick. Roofe saw a half volley from the edge of the box and Alioski a strike from range go wide as the Whites pushed to get level. With five minutes of the first half remaining, Forshaw came close to levelling when he struck from 25 yards, he had Pantilimon beaten, but it also narrowly beat the post. After the break Alioski shot from range but couldn’t find the target, whilst the Macedonian was then just inches away from getting on the end of a fine cross by Hernandez. The 65th minute saw Jack Clarke and Samuel Saiz introduced, which was followed by a minute’s applause and standing ovation for Edna Newton, who passed away earlier this week. Edna held a season ticket for 64 years and was the eldest season ticket holder the club had. Clarke almost had an immediate impact, he put a lovely driven cross into the Forest box, but Hernandez and full stretch couldn’t get on the end of it to turn it in. Leeds did get level with six minutes of normal time remaining. Saiz floated a cross to Dallas at the back post and he played the ball across goal to Klich. 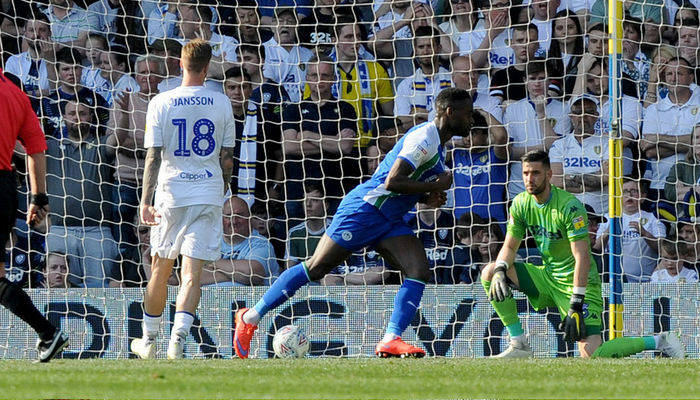 Klich then played the ball back across goal to Roofe who bundled the ball over the line from close range, netting his sixth goal of the campaign. 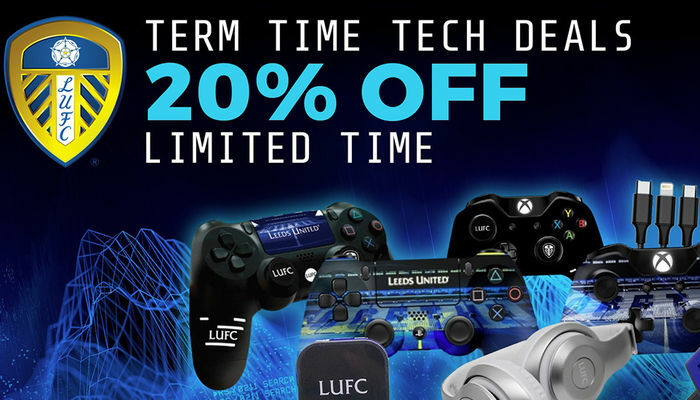 In stoppage time, Leeds nearly stole all three points, Alioski put a neat cross in from the left which was met by a back heel from Hernandez and his effort was just inches away from erupting Elland Road. Results earlier in the day, mean Leeds slip to second in the Sky Bet Championship following the draw, after 15 games, having picked up 27 points so far.